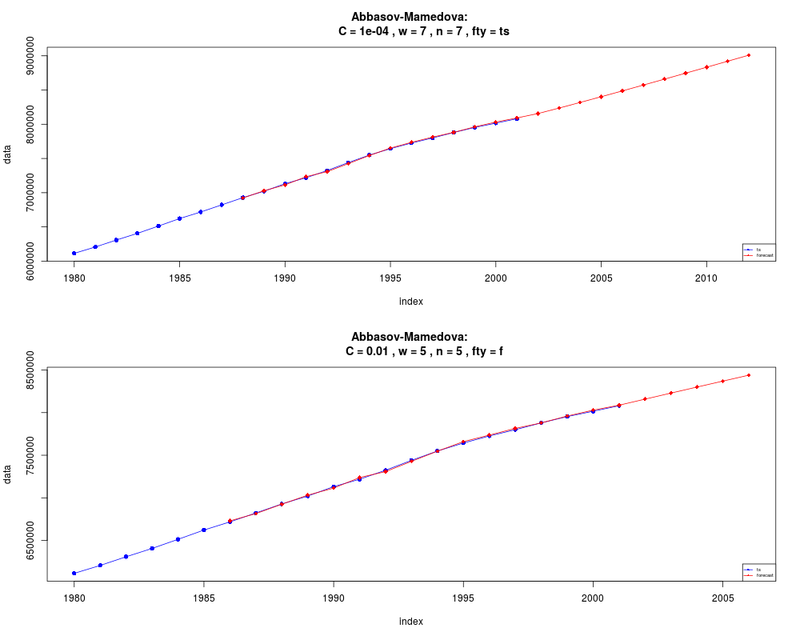 Predicts time series by fuzziness method according to Abbasov-Manedova model. Let trace=FALSE (default) to only print forecasting series out to creen. Number of points to forecast in future. fty="f", N(length(ts)+1) = N(length(ts)) + V(length(ts)+1). fty="ts", N(length(ts)+1) = ts(length(ts)) + V(length(ts)+1). Information about changing fuzzy sets. Observation series and changing series. The change fuzzy of observation series. The change fuzzy of forecasting series. 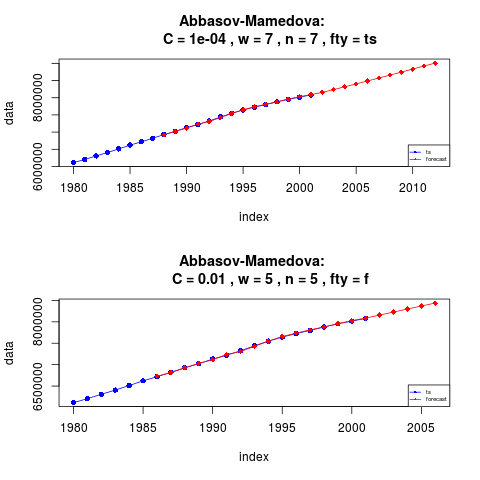 Abbasov, A.M. and Mamedova, M.H., 2003. Application of fuzzy time series to population forecasting, Proceedings of 8th Symposion on Information Technology in Urban and Spatial Planning, Vienna University of Technology, February 25-March1, 545-552.